The 2016 Honda HR-V is an all-new vehicle that provides Goshen and Monroe drivers with a singular combination of power, space, and efficiency over the 2015 Nissan Rogue. After comparing the two, it quickly becomes evident that the HR-V aims to revolutionize the small SUV segment. 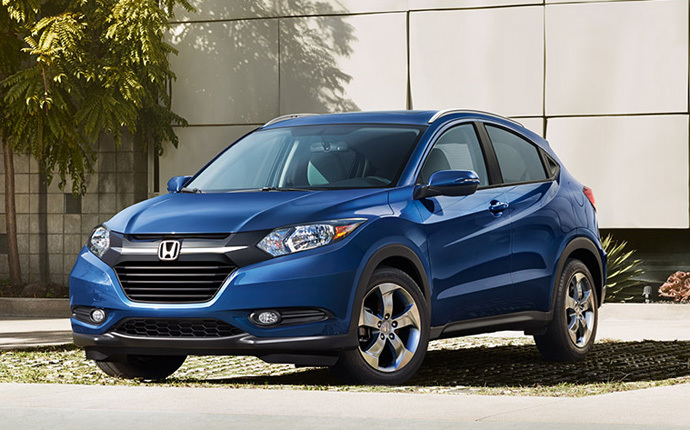 The 2016 Honda HR-V is offered in three trim levels, each available with either FWD or AWD. LX: The LX is the standard model that boasts a generous selection of features. 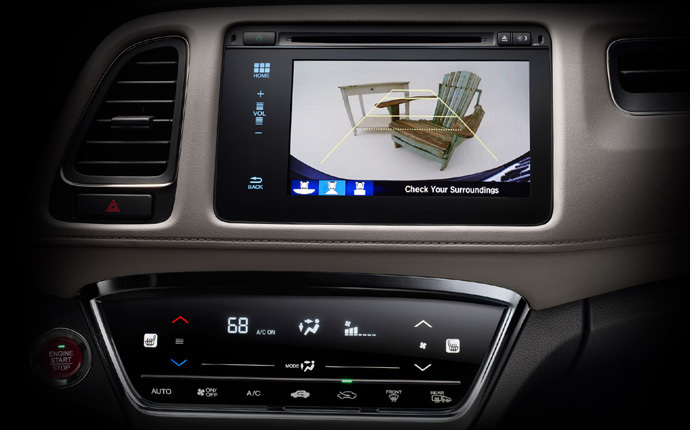 Drivers will find a rearview camera, 5-inch LCD display, and a remote entry system, all included at no added cost. EX: The EX is all about comfort and convenience. Heated front seats ensure that your ride never feels like a chore, while a power moonroof provides a panoramic vista above you. EX-L Navi: EX-L Navi models are top-of-the-line across the board. From the indulgent comfort and executive appearance of the leather-trimmed interior right up to the satellite-linked navigation system with voice recognition, this is a truly superior model. 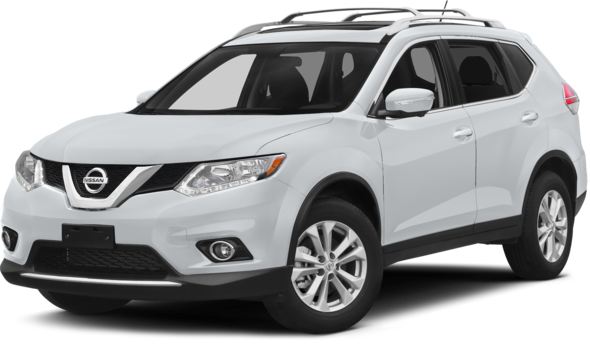 The 2015 Nissan Rogue is also available in three trim levels. S: The entry-level Rogue offers a rearview monitor and daytime running lights. 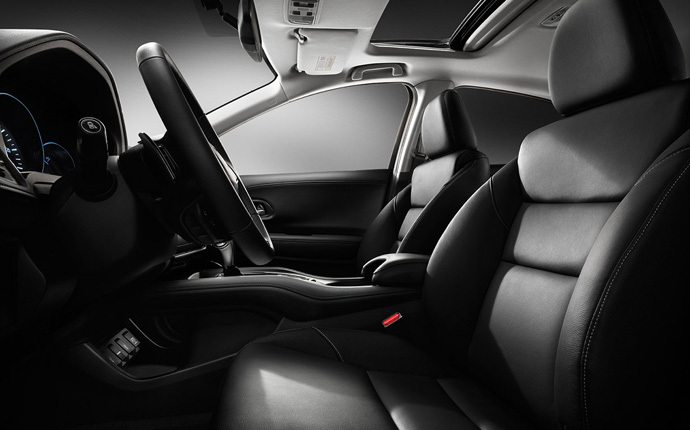 SV: The SV provides drivers with features such as 17-inch aluminum-alloy wheels and automatic temperature control. SL: A top-end Rogue will provide you with both leather seats and 18-inch wheels. When Goshen and Monroe drivers compare the power of the 2016 Honda HR-V to the 2015 Nissan Rogue, they’re often fooled into believing that the Rogue will offer stronger performance. After all, it delivers 170 hp and 175 ft-lb of torque, whereas the HR-V delvers 141 hp and 127 ft-lb of torque. But, it’s important to take other specs into account to understand which model is more efficient. 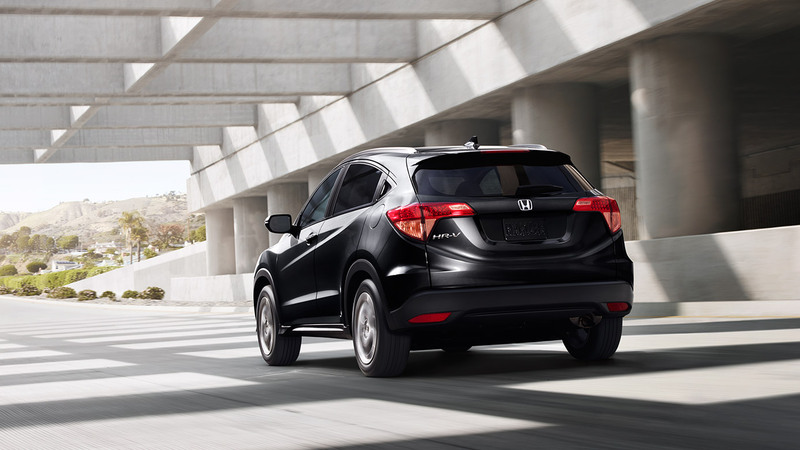 The Rogue’s curb weight falls between 3,404 and 3,612 pounds, while the HR-V ranges from 2,888 to 3,109 pounds. The lower overall weight for the HR-V counterbalances the Rogue’s output and ensures that HR-V drivers will enjoy enhanced efficiency. 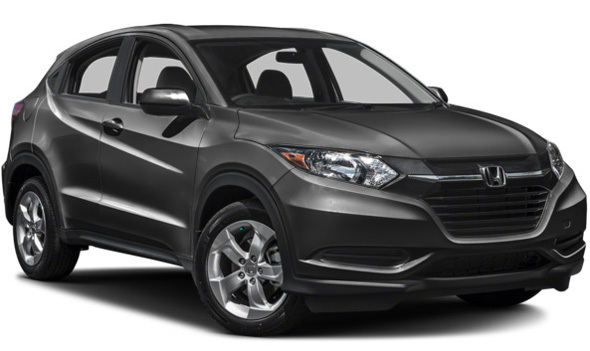 The bottom line is that the 2016 HR-V delivers 28 mpg in the city and 35 mpg on the highway* when equipped with a CVT and FWD, and the 2015 Rogue returns only 26 mpg city and 33 mpg highway. The 2016 Honda HR-V is built to combine the interior versatility of the popular Honda Fit with the sprawling space of the celebrated CR-V, so it’s no surprise that it’s one of the most flexible vehicles in the Honda lineup. While the 2015 Nissan Rogue manages to provide a greater amount of cargo space with all seats folded – 70 cubic feet to 58.8 cubic feet for the HR-V – Honda doesn’t make you choose between passengers and storage. With all seats occupied, drivers will still be able to stow up to 24.3 cubic feet of cargo, compared to just 9.4 cubic feet in the Rogue. However, those standard models are several thousand dollars apart, so you’ll pay much more for them with the Rogue. Additionally, certain Nissan features lack the cutting-edge technology you’d find in equivalent Honda features. For example, the audio system in the HR-V is fitted with both speed sensitive volume control and a radio data system as standard, but not in the Rogue. You’ll also have to pay more for available features. Heated front seats are included as standard in the HR-V EX trim for $21,165*, but don’t come standard in the Rogue until the $28,280 SL model. Similarly, a power moonroof comes at no added cost in the Honda EX trim, but remains only optional across all Rogue trim levels. The 2015 Nissan Rogue continues to keep technologies optional when it comes to safety. While the Honda LaneWatch blind-spot warning system provides enhanced visibility as standard in both EX and EX-L models of the 2016 Honda HR-V. Nissan’s comparable feature is not included as standard in any model of the Rogue. Goshen and Monroe drivers will also need to forfeit the celebrated Honda protection technology of Advanced Capability Engineering (ACE) body structure when they drive home in a 2015 Nissan Rogue. In the unlikely event of a collision, this innovative body structure crumples to direct impact energy away from occupants. The 2016 Honda HR-V is a true game-changer. 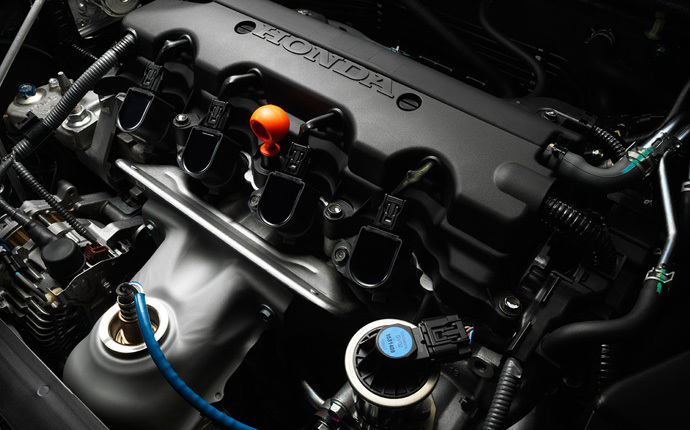 Isn’t it time to take a test drive in this new model at Middletown Honda today? Please contact our sales team to find out more about this forward-thinking compact SUV.